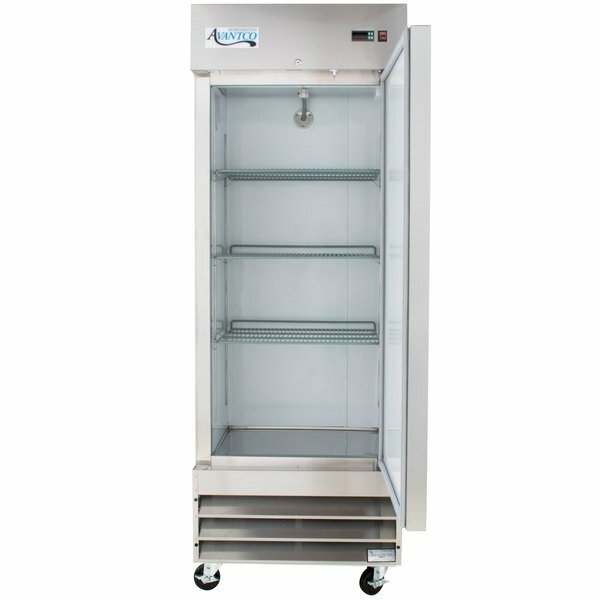 Store frozen food and ingredients in the Avantco A-19F-HC 29" one section solid door reach-in freezer. 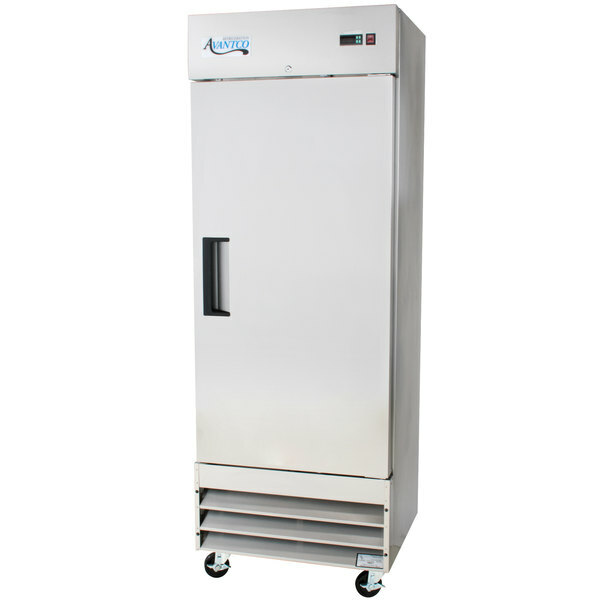 Whether you’re storing pre-made portions of your signature dishes, frozen french fries, or frozen ingredients, the Avantco A-19F-HC is perfect for your small restaurant, cafe, or bakery. This unit has a spacious cabinet with multiple adjustable shelves, but it's still small enough to fit in places where larger units would not. With a powerful refrigeration system and environmentally-safe refrigerant, your ingredients and fully-prepared foods will stay at safe frozen temperatures. "This freezer got cold FAST! Brand new, plugged it in, and it was good to go in a half hour! We're in and out of it all the time and it gets right back down to 10° in minutes!" The bottom mounted design of the 1/2 hp compressor not only draws in cooler air for energy efficiency, but also raises the bottom shelf, so you don’t have to bend as much during loading and unloading. It circulates eco-friendly R290 refrigerant. This specialized refrigerant has an ozone depletion potential (ODP) of 0 and a global warming potential (GWP) of 3, making it an environmentally-responsible choice for your business. 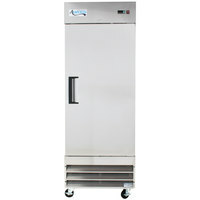 Also, this unit has an automatic defrost cycle, so your staff doesn’t need to spend valuable time clearing out ice. These adjustable shelves are coated with plastic to help keep out moisture and resist corrosion and rusting. Each unit comes with 3 shelves and 12 shelf clips, allowing you to place your shelves exactly where you need them to accommodate your small or large food products. 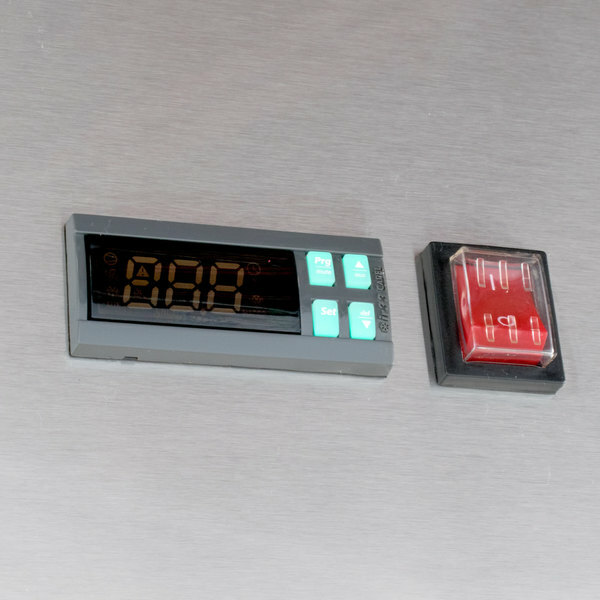 Digital temperature control allows you to easily adjust the temperature of your freezer's cabinet within its -5 to 2 degree Fahrenheit range. Plus, the unit will automatically defrost 4 times a day to keep food fresh and properly chilled. The clear LCD readout also helps keep track of the unit’s temperature. 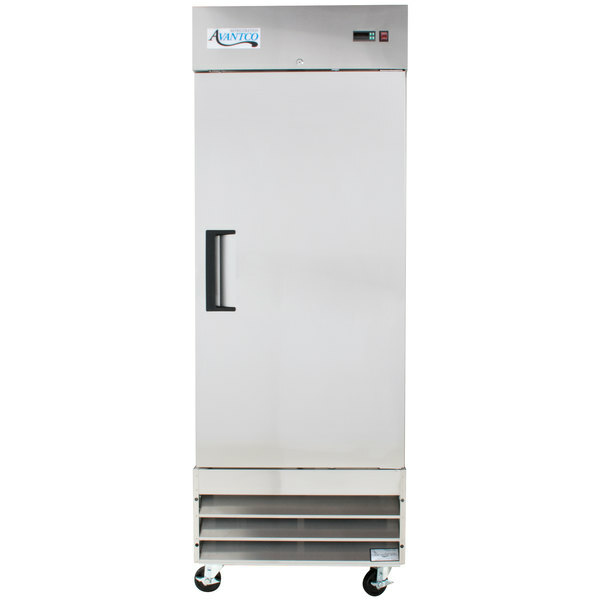 This door is self-closing with a stay-open feature, giving your staff the ability to more quickly and easily load your refrigerator when you get a delivery. How do I correctly install the shelves into this unit? To promote proper air flow through your Avantco unit, please ensure that the wire ledges on the shelves are positioned toward the back of the unit. These ledges help keep enough space between your product and the back wall so that cold air can adequately circulate through the cabinet. Incorrectly installing the shelf ledges can restrict airflow, causing the temperature in the bottom of your unit to rise. 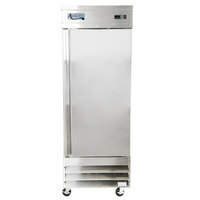 Looking for a refrigerator to complete your commercial kitchen? Check out the Avantco A or SS series! With standard, innovative features, we're confident that one of these units is the right model for you. 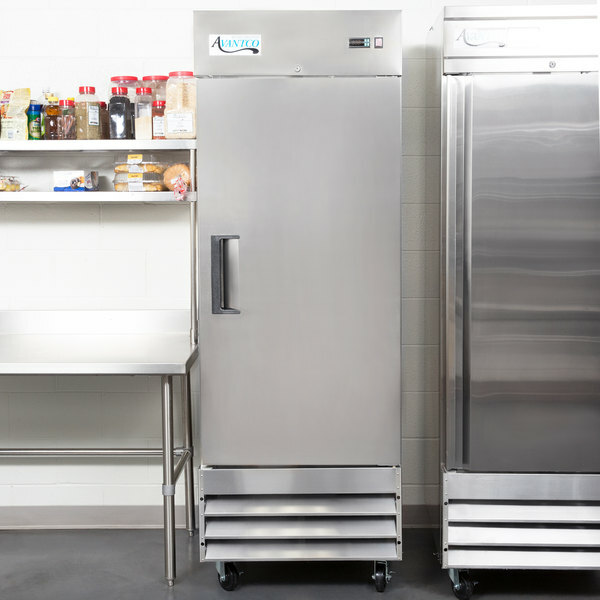 Your food service establishment relies on dependable refrigeration, and the Avantco A and SS series reach-in freezers and refrigerators fit the bill. No matter your size, space, or budget restrictions, we have got a durable refrigerator or freezer that will keep your food at safe temperatures. Designed with affordability in mind, the A series reach-ins feature painted aluminum interiors that are both attractive and easy to wipe down. The 430 series stainless steel doors and exterior sides add increased durability, while giving each unit a sleek appearance. 3 epoxy coated shelves per section feature shelf clips for customization when desired, and each shelf can hold up to 90 lb. of product. 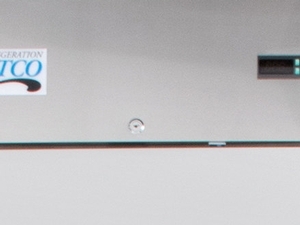 For the customer who requires a more heavy-duty cold storage solution, the SS series reach-in refrigerators and freezers come packed with benefits. 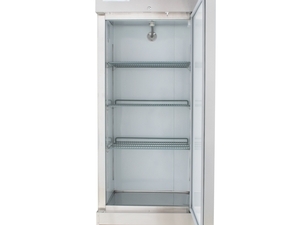 Comprised entirely of stainless steel, these units are corrosion-resistant and easy to clean. 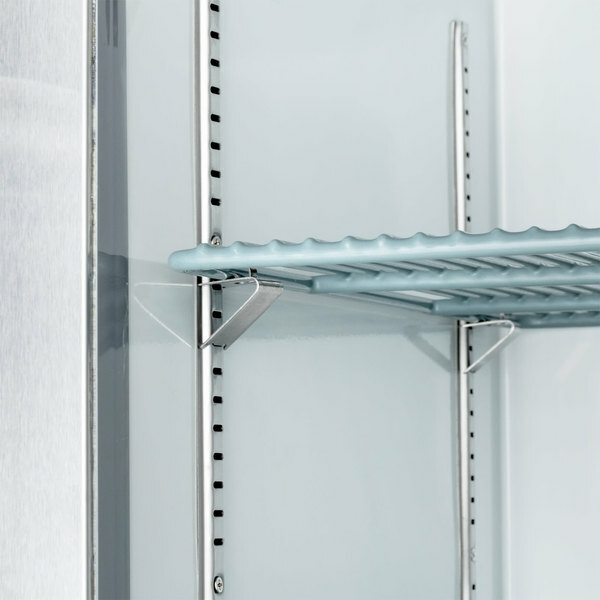 For complete storage flexibility, each refrigerator comes with 3 epoxy coated shelves per section with a 120 lb. capacity per shelf. 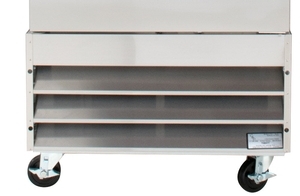 Thanks to the versatile shelf slide design, this unit can even accept full size food pans. We also offer a number of accessories, including bun pan rails, which allow the operator to store full size sheet pans in the cavity. Simply attach them to the shelf slides and you’re ready to go. Self-closing door mechanisms with full length handles make it easy to load and unload products. An automatic defrost feature and digital temperature control with digital display ensure that each unit is easy to operate and maintain. 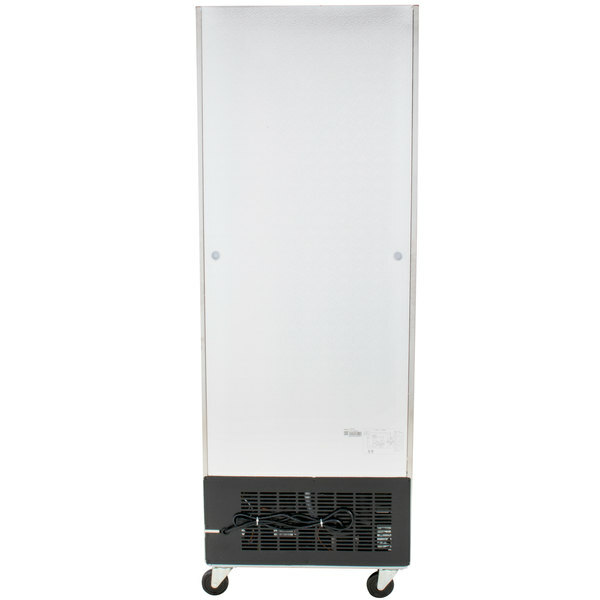 For maximum efficiency, the back of the unit features an air duct that facilitates proper air flow. Both the A series and SS series run on eco-friendly R290 refrigerant. Each cabinet comes with casters, so you can move the unit aside for cleaning and maintenance. The A series reach-ins come in 1 or 2 section models, and the SS series comes in 1, 2, or 3 section models to fit your needs best. 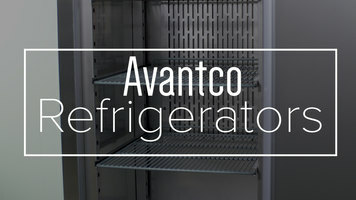 With impressive performance and durability, the Avantco A and SS series refrigerators and freezers are perfect for any restaurant. This freezer got cold FAST! Brand new, plugged it in, and it was good to go in a half hour! We're in and out of it all the time and it gets right back down to 10° in minutes! Super roomy reach in freezer. I love it and it keeps food frozen. I personally like to take the shelves out of it and replace them with the speed rack style shelving! I absolutely LOVE my Freezer. This item was a excellent purchase. it stores a lot an the digital feature is accurate. I would recommend and I would buy a large one once I get into a larger space. The Avantco Reach-In Freezer works absolutely amazing. It keeps the food incredibly fresh and fits perfectly where we needed it to and doesn't take up space at all. Stays extremely cold. When I received the freezer, the health department was coming in a few hours to inspect my equipment. In no time this freezer was completely cooled and at the right temperature. I need this product for my ice that i be freezing. So i can make my shaved ice cones. Its very nice looking freezer meet all my needs. We have had this freezer for about 5 months and no issues so far is very quiet and good looking, work like a champ keeping our fruts frozen ready for smoothies. Perfect size for my food truck. Wish it would have came with 1 more shelf. Not easy to keep spots and fingerprints off the outside.